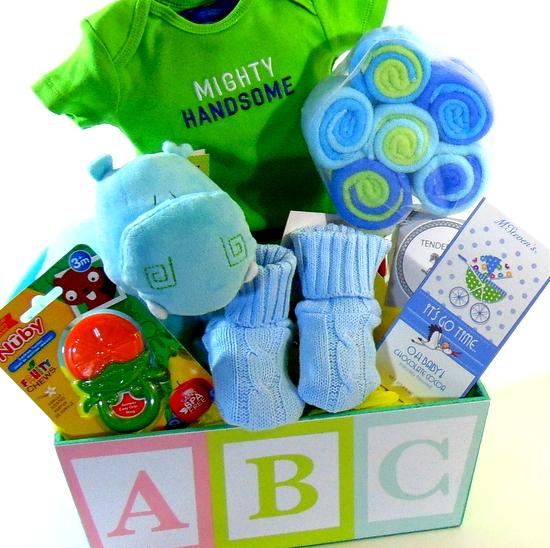 ABC Baby Boy Basket a great gift to send the new born. Green, Yellow, Blue and pink wooden gift box. Box can be reusable to store baby items. ABC Baby boy basket. Blue Hippo stuffed animal siting inside the baby box. 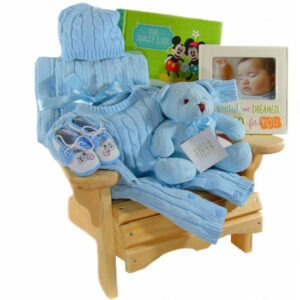 Also, the baby boy gift basket comes with baby blue booties. and much more all wrapped up inside this blue baby basket. 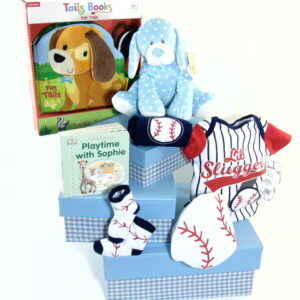 Baby Gift Basket is a great blue hamper gift also a good baby shower gift. All gift baskets can be delivered to door steps of the newborn and his parent’s home and to Toronto hospitals.